Deer Crossing Next 20 Miles! 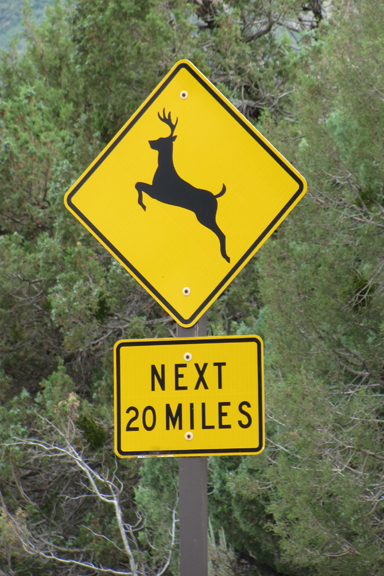 We were barely inside Mesa Verde National Park when we came across a one of a kind sign – at least, Bonnie and I had never seen a sign exactly like it: “Deer Crossing Next 20 Miles.” That reminds me of a recommendation that our daughter Rebecca once made while visiting us in West Virginia a few years back when we lived there. 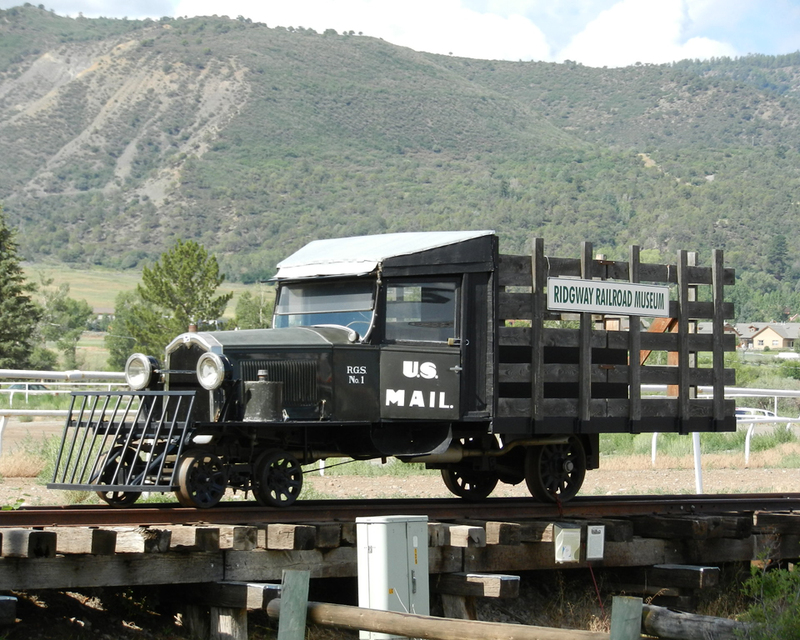 Instead of the highway department saturating the state with signs like, “Curves Ahead Next 3 Miles,” she offered that West Virginia would be better off erecting signs at the state line advising traffic entering the state, “Curves Ahead Unless Otherwise Posted.” The “Deer Crossing Next 20 Miles” covered the length of Mesa Verde. 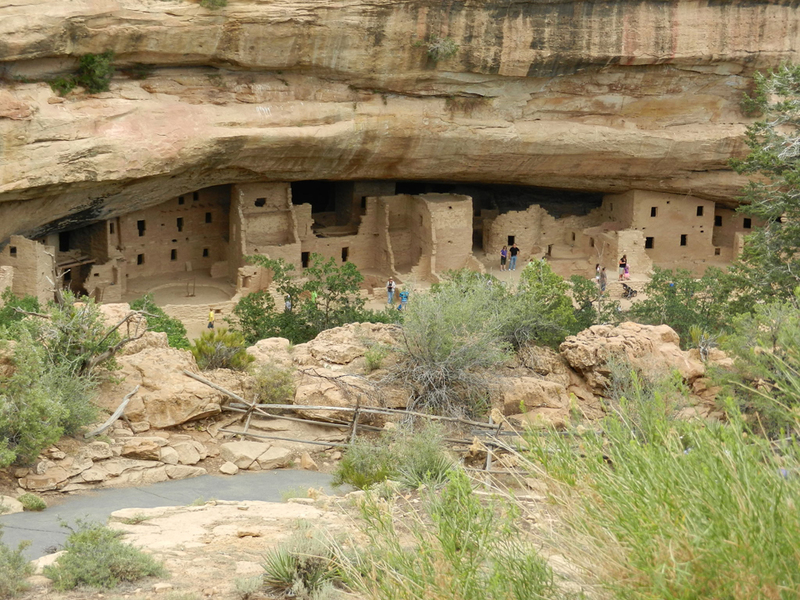 In view of my bad knees and the effect of chemotherapy on Bonnie, we opted for a self-directed car tour of Mesa Verde. We didn’t want to crawl through tunnels, climb 60’ ladders and navigate numberless steps anyway. Still, we consumed most of the day driving through the park and stopping at most of the sites. Sometimes the stops were within sight of each other! 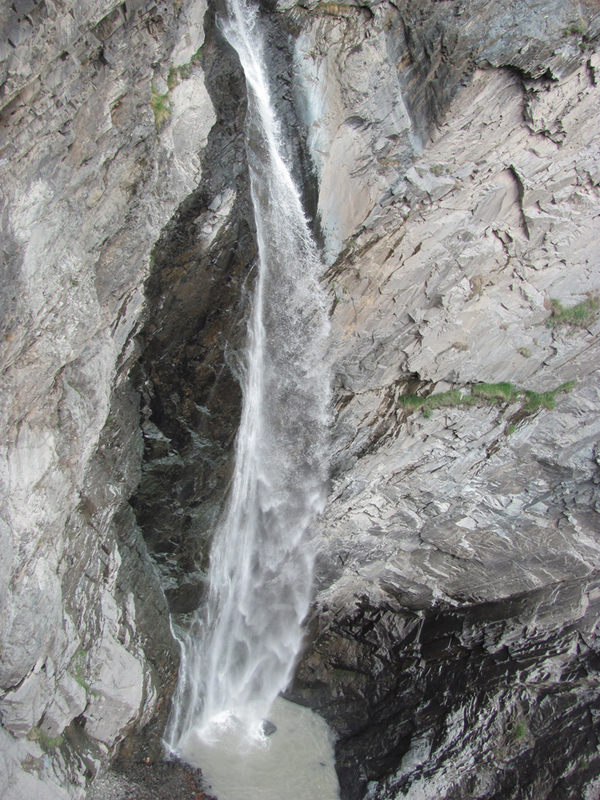 Most of the time, we didn’t get very far from the car, though occasionally, we walked farther. We observed the remains of pit houses, which were partially below the surface of the ground and would have been roofed. 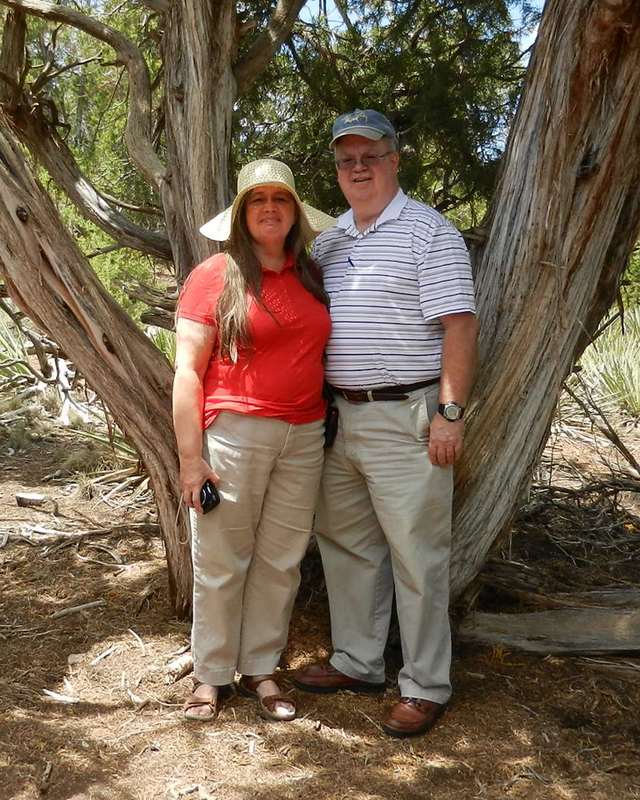 Bonnie and I also saw cliff dwellings as well as some other structures built above ground. In many ways, the sites reminded us of some types of dwellings we and other missionaries encounter abroad, and we imagined that the ancient homes of indigenous people in America resembled biblical era homes in Palestine. The green tables (Mesa Verde) and other rock formations ever remind us of our Creator. In addition, everywhere we traveled this past week we could see the evidence of catastrophism in contrast to uniformitarianism. 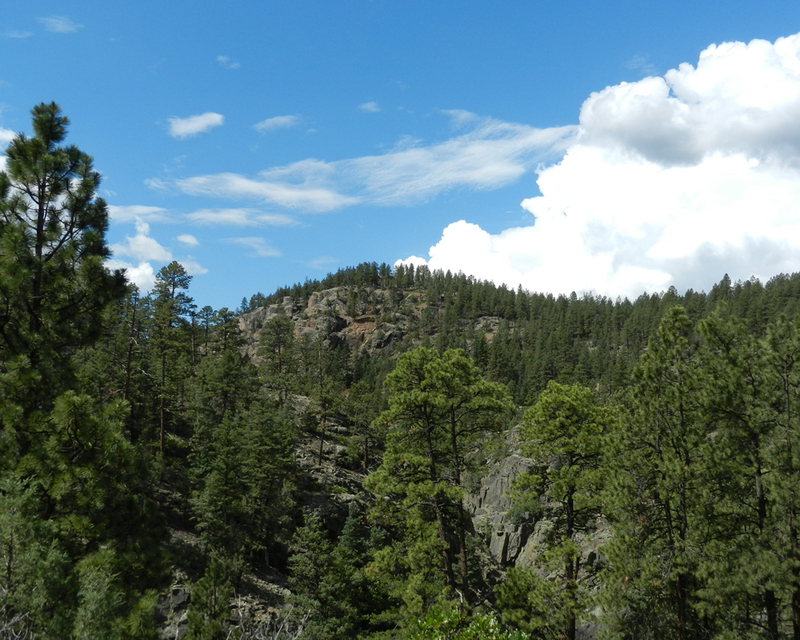 In other words, Bonnie and I recognized the handiwork of God (Psalm 19:1) in the formation and fashioning of our home planet. Comments: Comments Off on Deer Crossing Next 20 Miles! 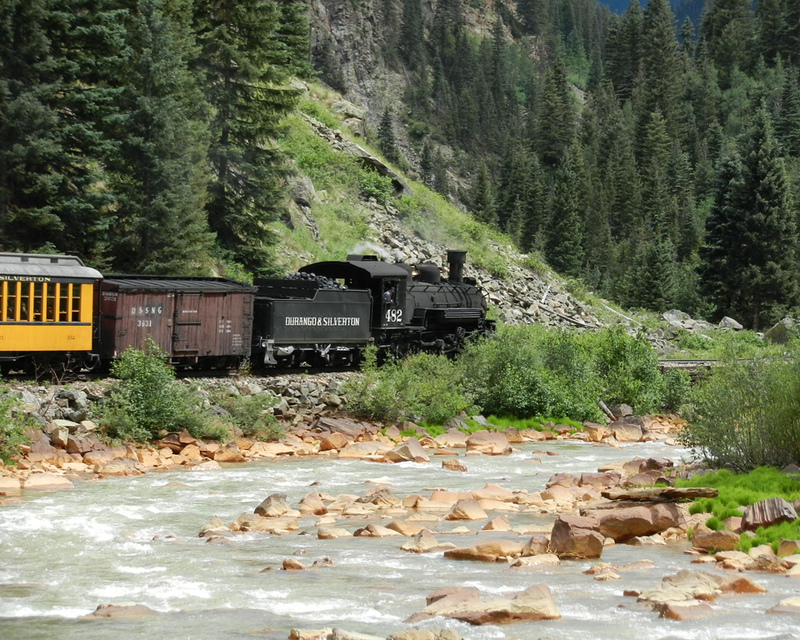 For our 40th wedding anniversary gift to each other, Bonnie and I rode the Silverton train today. The 9:00 a.m. train left about 9:30 a.m., but as a song says, ‘We had tickets to ride the train from yesterday, and it left on time!’ We had reserved seats on an open car with padded bench seats facing to the side, and it was the last car on the train. 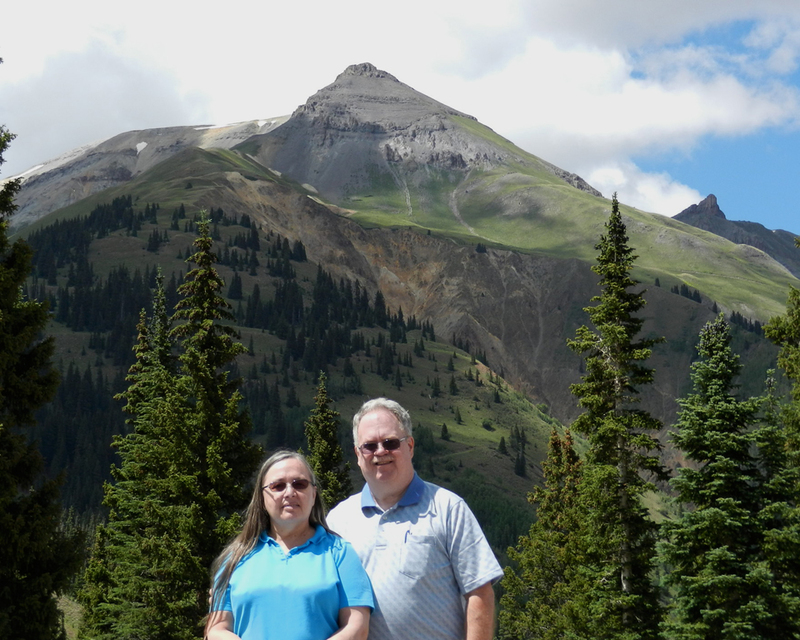 Most of the better pictures we snapped (and between the two of us we took 456 pics) were obtained on the three-hour ride from Durango, CO to Silverton, CO – because it rained on us for three hours on the return trip (remember, we were in a car without windows – a gondola with a roof). 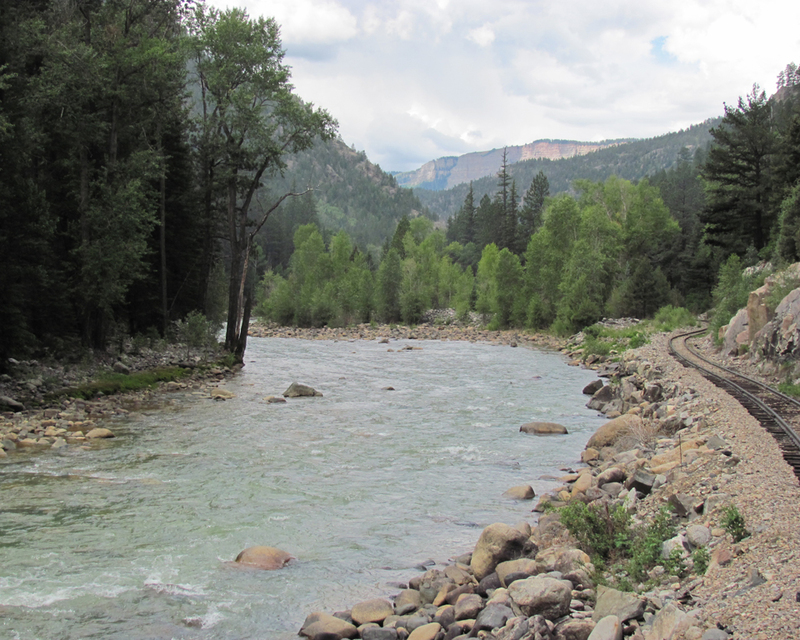 Durango is at about 6,000 feet, and 45 miles or so away, Silverton is at about 12,000 feet. 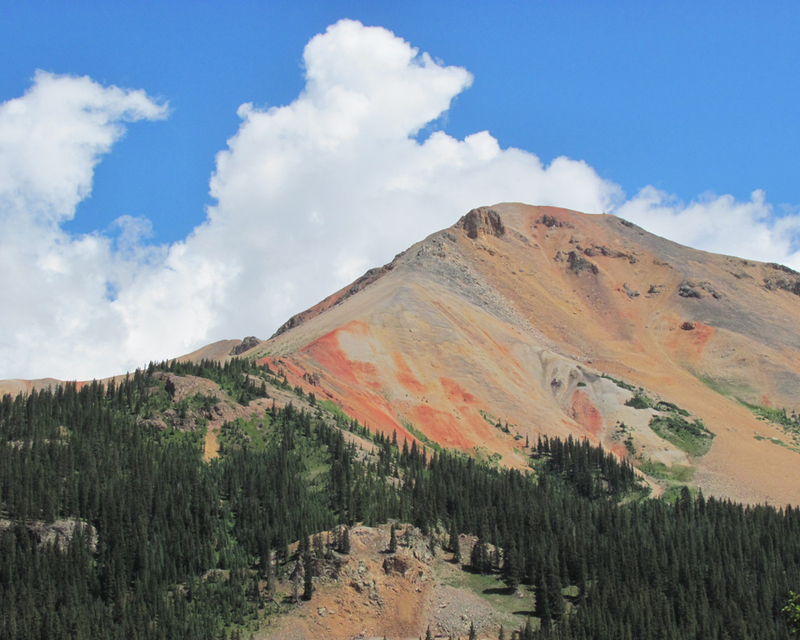 Durango was cool with overcast skies, but Silverton was noticeably cooler. 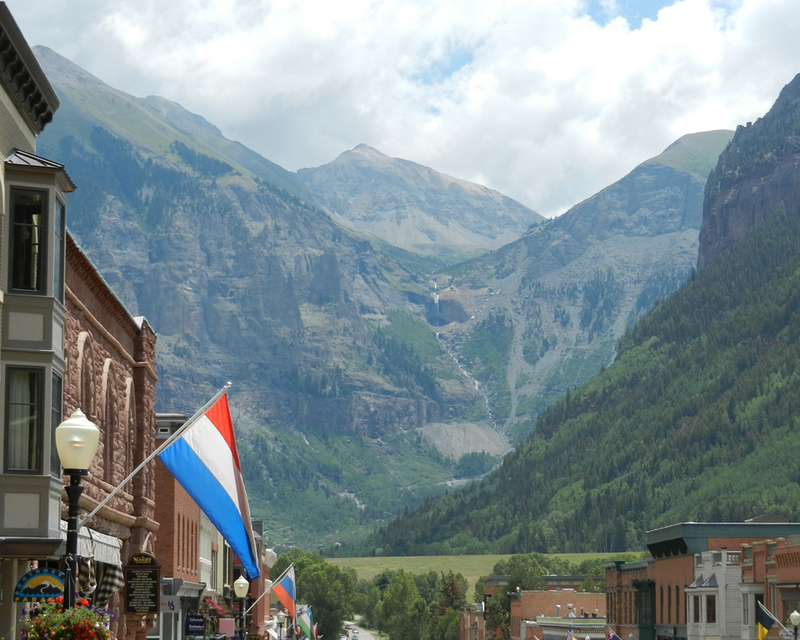 (We even spied snow on peaks hovering over the little valley occupied by the town of Silverton.) The rainy, return trip was beyond cool; it was cold! 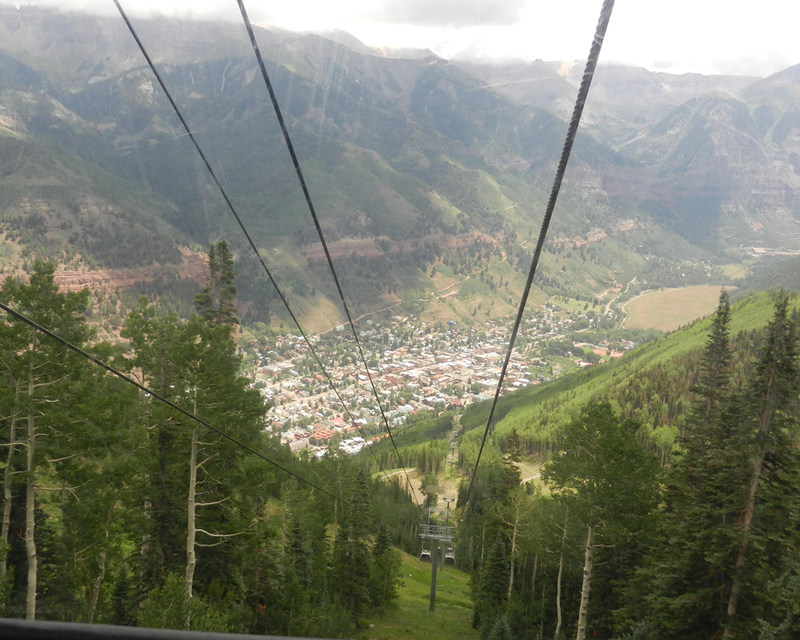 Silverton was not as I had imagined. 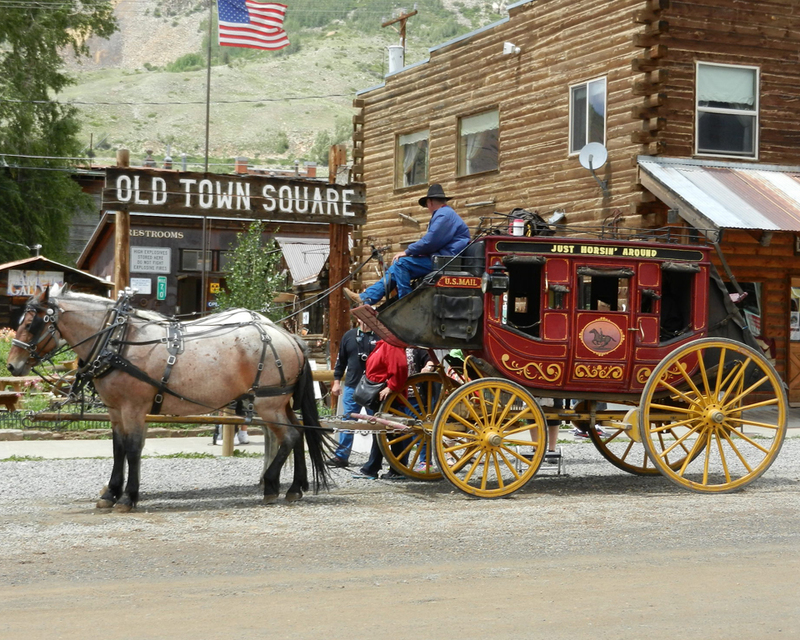 For the most part, it appears to be mostly a summertime town – becoming nearly a ghost town itself in the winter. That probably explains why the streets except for the highway passing through Silverton were muddy gravel lanes. Many of the buildings were old frame buildings, many needing repair. Our return trip was initially delayed due to a broken part of some sort on the engine. After ten minutes of welding, we were off. 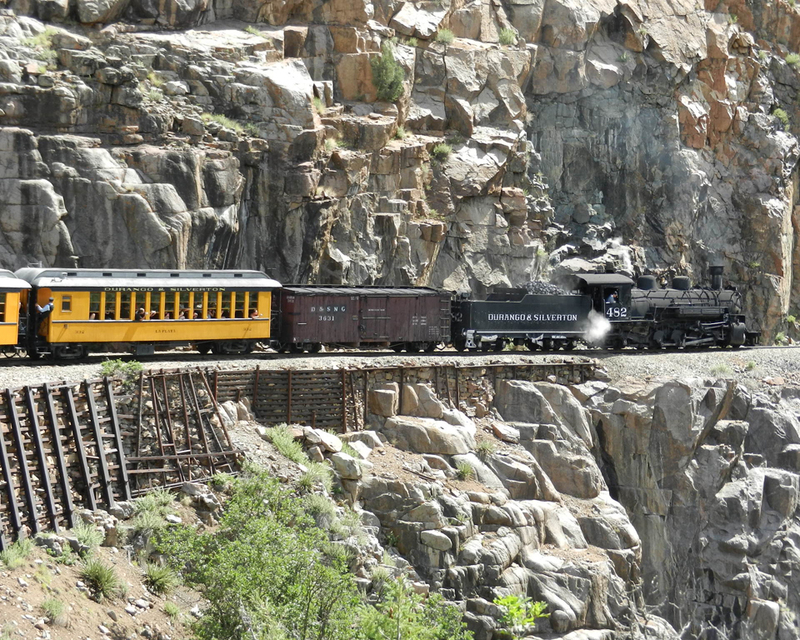 The engine had struggled uphill all the way from Durango, but from Silverton back to Durango was all downhill. 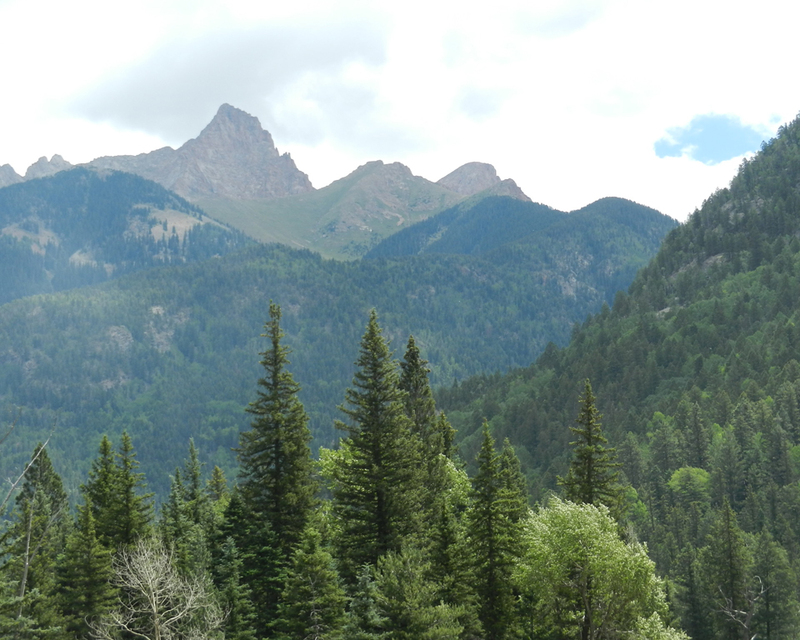 The key to the first half of the trip going to Silverton was to go fast enough to successfully negotiate the steady upward grade, whereas the key to second half of the trip back to Durango was to go slowly enough not to either jump the track or rock into natural stone walls. 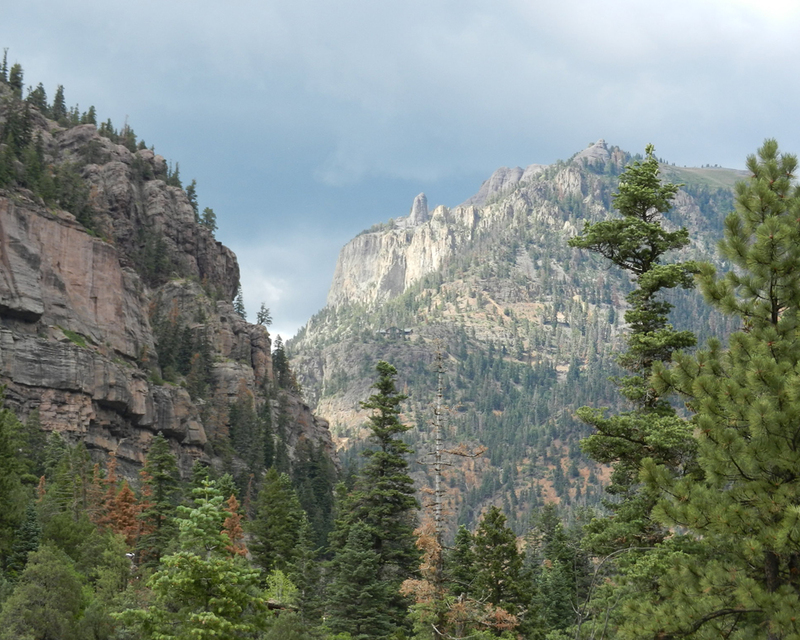 Back in Durango, wet, cold, tired and sooty, we went directly to our hotel. We buffeted for supper on crackers and cheese in our room after cleaning up from the day’s outing. 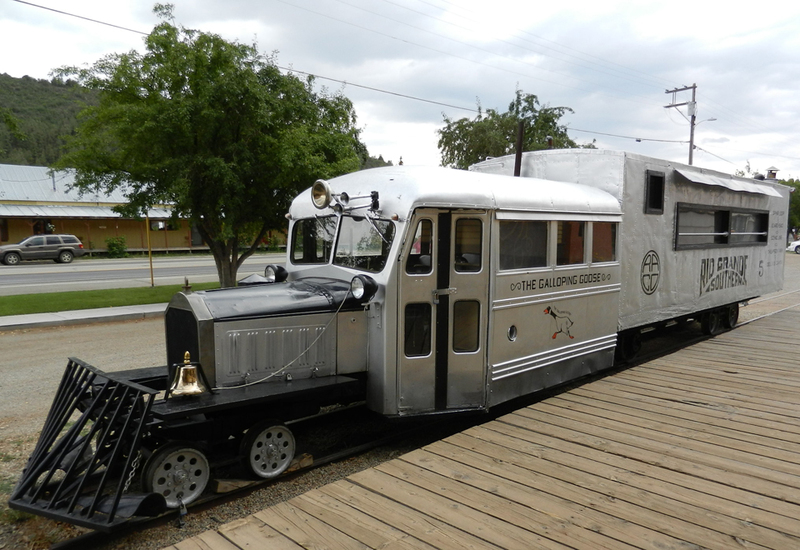 I have desired for years to ride the Silverton train, and I never thought that it would ever happen. Happen it did, and what made it all the better was that my best friend, my wife, my dear Bonnie and I made the journey together. A longtime ago we began a journey throughout this life together – a journey that also has become a pilgrimage of Christian service in search of a city whose builder and maker is God. 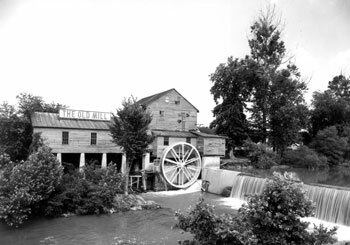 Welcoming visitors since 1830, The Old Mill in Pigeon Forge, TN is truly The Gem of the Smokies. Now, family owned and operated, The Old Mill and The Old Mill Square complex of restaurants and specialty shops is a favorite Smoky Mountain destination for dining, shopping and learning. 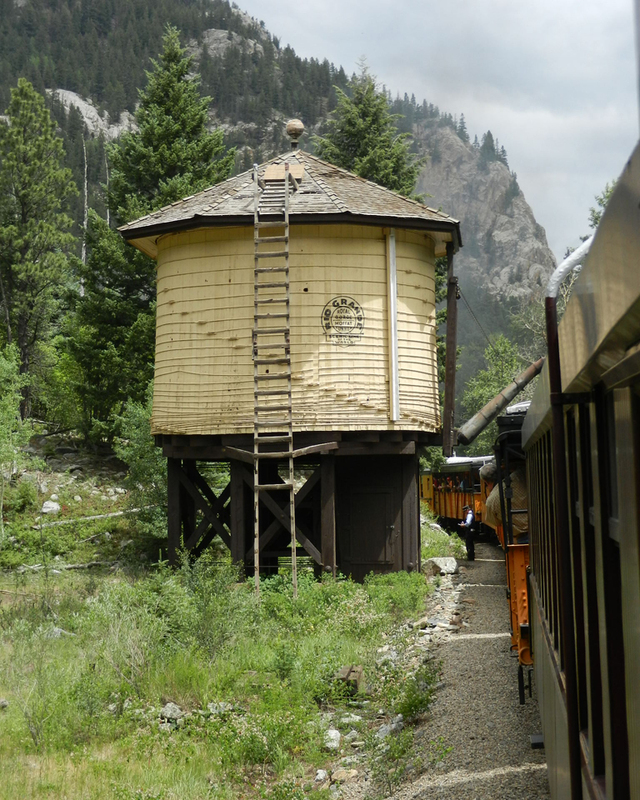 Visitors can still watch meal and flour being ground by the water powered granite French Burhr in the mill, or pottery being thrown or candy being made. There are many delights in the Smokies, and the Old Mill Restaurant and companion shops qualify. Treat yourself to the finery offered there. Go see for yourself at http://www.old-mill.com/. On the Road Again! That’s the ring tone for Bonnie’s phone, and we live it, too. Arriving back in the States Tuesday, June 12 from Guyana, South America, we have hit the road again. Thursday, Bonnie and I drove almost two hours south to Byram, MS for our semi-annual dental cleanings. Oh, that’s when Bonnie was informed that she needed to have two wisdom teeth extracted and two other teeth drilled and filled at subsequent appointments. Saturday the 16th, we dropped Betty Choate off at the Memphis International Airport on our way to Rebecca’s home in Collierville, TN. Sister Choate was unable to persuade Delta at curbside to overlook her overweight luggage, and so as we pulled away from the curb, she was redistributing items between checked bags and her carryon bag. She was on her way to San Francisco, CA to babysit grandchildren as her son Brad and his wife went away to celebrate their anniversary. At our own private bed and breakfast (Rebecca’s house), we were positioned for our Sunday, June 17 afternoon appointment with the East Frayser Church of Christ in the metropolitan Memphis area. We had a wonderful time with these brethren as I presented the PowerPoint Into All the World in 2011. Back in Winona, MS, Monday through Thursday, brother Lester Grimmet and his helper Tommy made some much needed repairs on the missionary house in which we reside. Besides hundreds of disturbed wasps (and about six cans of wasp spray), they found rotten soffit and fascia plus rotted roof joist ends and porch sheeting. Replacing and repairing these items was the beginning of necessary maintenance to preserve the integrity of the structure. Roof repairs are imminent. Later, we will paint the exterior wall panels, etc. to prolong replacement of the deteriorating paperboard sheets. 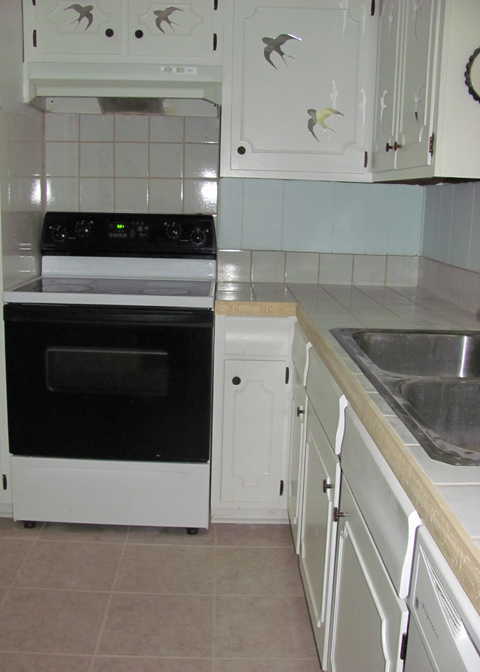 Inside the house, Bonnie and I invested in the replacement of the kitchen flooring and sink countertop. 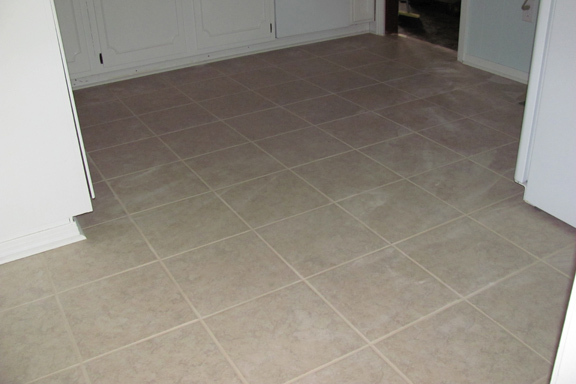 We opted for ceramic tile for both. Already, we had painted the dark paneling and cabinets to brighten the dungeon. Of course, as long as the kitchen was inaccessible, we were forced to eat out. Sunday morning June 24, we visited the Courtland, MS Church of Christ. For Bible class, I presented Into All the World in 2011, and for worship I preached Worshipping Almighty God Acceptably and with Godly Fear. For those of you who follow our blog, you see that I do not preach a lot of different sermons over the course of a year. I just go to different congregations and present the same material over again. Poor, poor Bonnie; she has to endure the same lessons often twice weekly for many months before I change them out for another set and repeat our circuit. After worship, we followed a family to the next county and into the woods. We were supposed to be going to a restaurant for lunch, but I was almost certain that we were following the wrong car and that we were about to pull up into someone’s driveway. However, finally, we arrived at a local, out of the way eatery in a narrow gravel lot adjacent to a boat storage facility. Above the door for the diner was simply the word, “CATFISH.” Inside the homey setting, in the backroom, six of us surrounded a round table. Bonnie and I shared the best and the largest country fried steak we have ever eaten. Everywhere we go, one thing is for sure. Brethren know where the good food is, and they enjoy eating together. Sunday evening, I spoke for the West President Church of Christ in Greenwood, MS. Their preacher Nathan Wright was away at camp with the youngsters from the congregation. Bonnie and the brethren heard me preach Worshipping Almighty God Acceptably and with Godly Fear. After worship, several brethren and we ate at an upscale Mexican restaurant in Greenwood near J.C. Penny. I found my new, favorite Mexican restaurant, and all Bonnie and I ate was an appetizer that we shared. Tuesday the 26th, we were again in Byram, MS for the extraction of two of Bonnie’s wisdom teeth. By far, it took longer to get there from Winona, MS than it did for brother Andy Dulaney to remove the teeth. I had chipped a front tooth on the backside the previous Sunday, and it left an annoying bur that brother Dulaney smoothed for me. 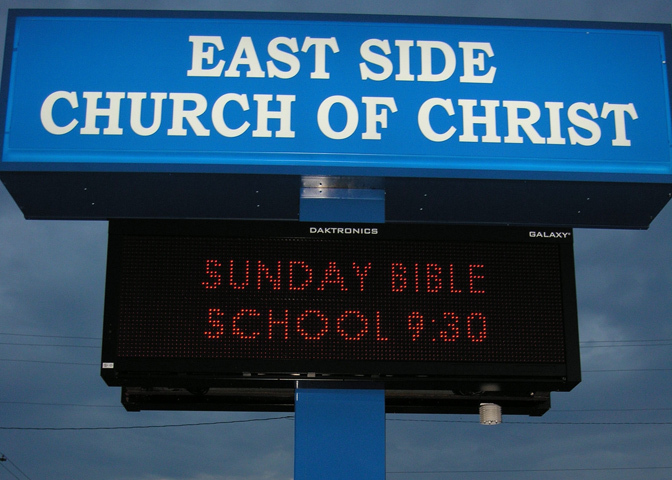 Wednesday morning, we began a new trek to Cleveland, TN, where that evening I made my PowerPoint presentation Into All the World in 2011 to the East Side Church of Christ. We lodged that night with Rick and Fay Hinson; he is the Deacon of Missions for that congregation. We always enjoy this couple, and they make us feel right at home. 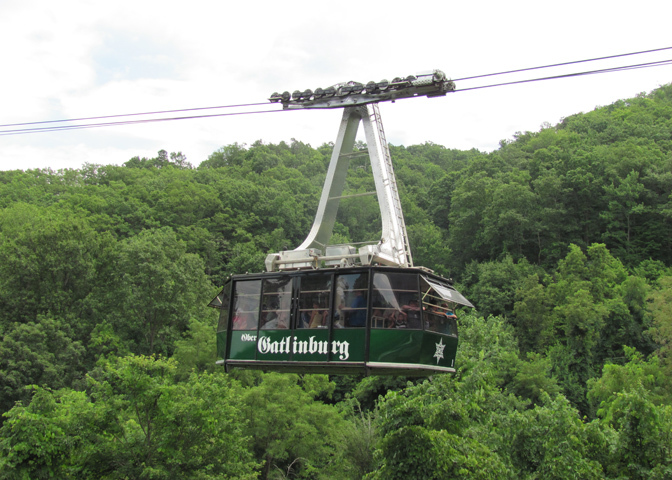 Thursday morning, we struck out aimlessly for Sevierville, Pigeon Forge and Gatlinburg, TN. Our next appointment was also to be in Cleveland, TN on Sunday night; so, we took a couple of days to relax and work without interruption in the Smoky Mountains. The first order of business upon arriving in the area was to eat lunch at the Old Mill Restaurant. We were seated almost immediately in rustic, watermill-like building overlooking the nearby river. Not something I would choose for myself, nevertheless, I enjoyed the corn chowder with clam broth that came with the meal, and the meatloaf was exceptionally good. The prices were moderate, and the service was stellar. Bonnie and I both agree that the Old Mill Restaurant deserves a repeat visit in our future when in the area. A couple of phone calls later, we had arranged for a cabin for a couple of days outside of Gatlinburg. The paperwork required to rent this place was reminiscent of that required to buy a house! 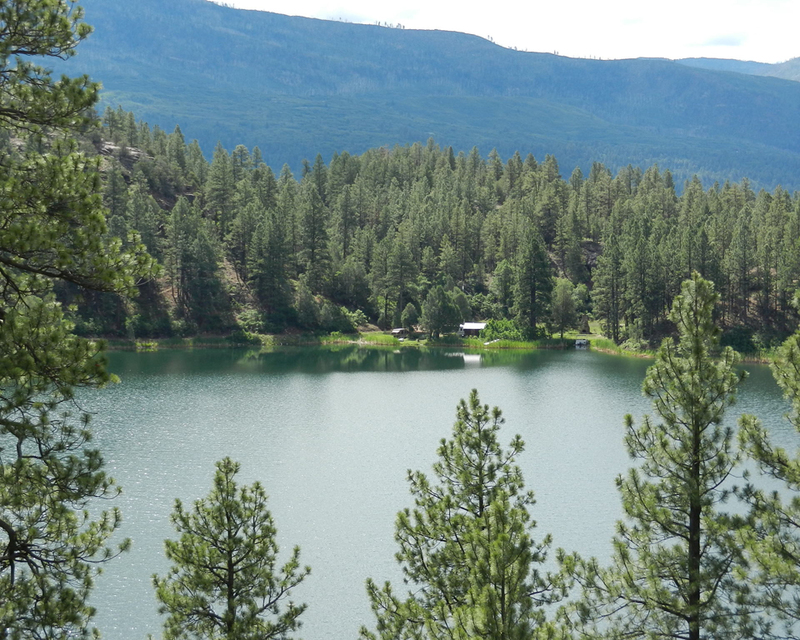 Upon arrival at our cabin getaway, we couldn’t wait to get away from it; I called the rental office and said that it was unacceptable for a number of reasons, including peeling wallpaper in the bathroom and water damage on walls and floor. 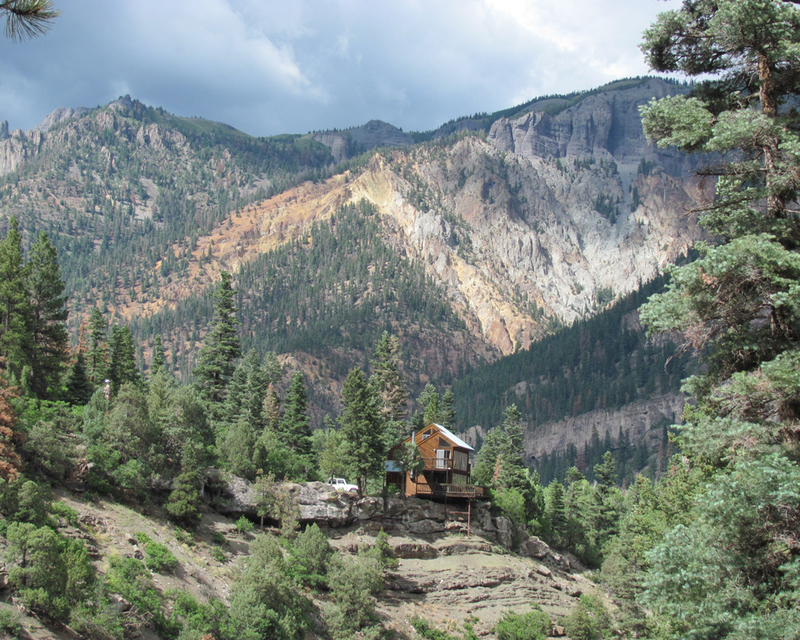 Within the hour, we arrived at a second cabin, which was more to our liking. It was the most buggy cabin rental that we ever experienced, but otherwise the porch provided a pleasant view of the blue mountains. The accommodations were satisfactory. Part of the time we relaxed; some of the time we walked the main drag of Gatlinburg, TN – window shopping the curios that we mostly resisted buying. We did, though, bump into the Steve Choate family in a store into which we just happened to wander. Steve is one of Betty Choate’s sons; he lives in Searcy, AR. (Though we did not encounter them, afterward we learned that J.D. and Denise Conley from Marietta, OH were in a Gatlinburg cabin at the same time we were in that area. He is a Gospel preacher and the son-in-law of Denver Cooper; Denise is sister to our dear friend Martha Noland. 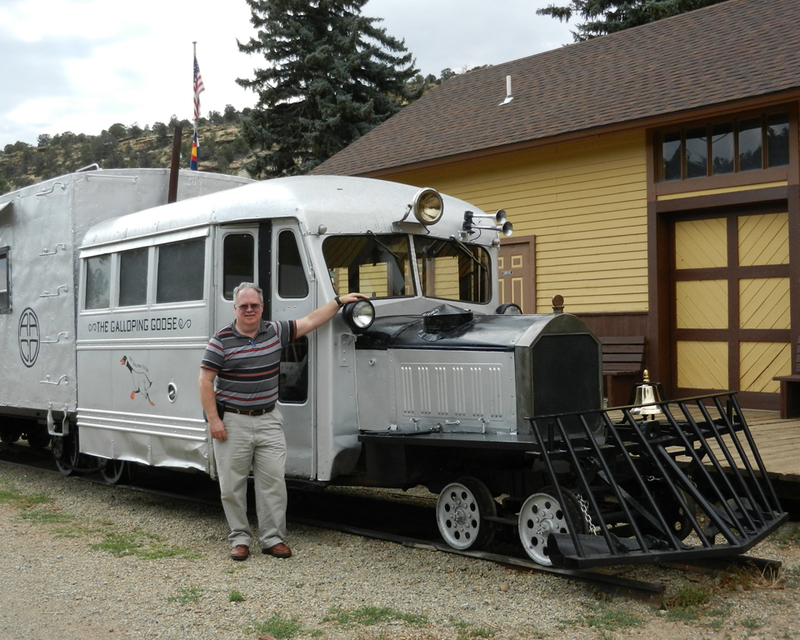 After lunch at Texas Roadhouse (we shared Road Kill and added an extra baked potato), as we were wandering about, we came to the tram that takes up to 120 passengers at a time to the top of the mountain. The fare not too steep, we boarded the standing room only vehicle and winged our way over five towers to the mountaintop. We explored some shops and bought a few trinkets, including some marble top fudge. We had indulged on some fudge the day before, too, at the Old Mill Candy Shop and found it better tasting than the more recent acquisition. Of course, the better tasting candy cost twice as much as the other; perhaps that ought to have been an indicator. During our two-night stay in the cabin, we dispatched spiders, ants, a millipede, one scorpion and another, unidentified bug. Two wasps that stung me got away. 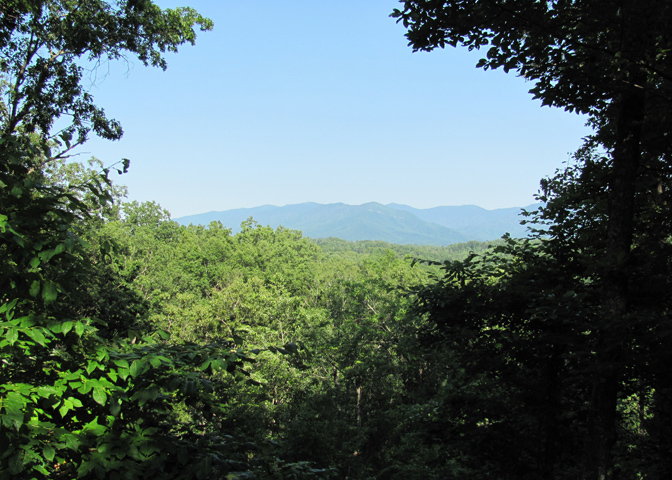 Each time we go to the Smoky Mountains, we have stayed in a different cabin, and I suppose we will continue the practice the next time we steal away a day or two. 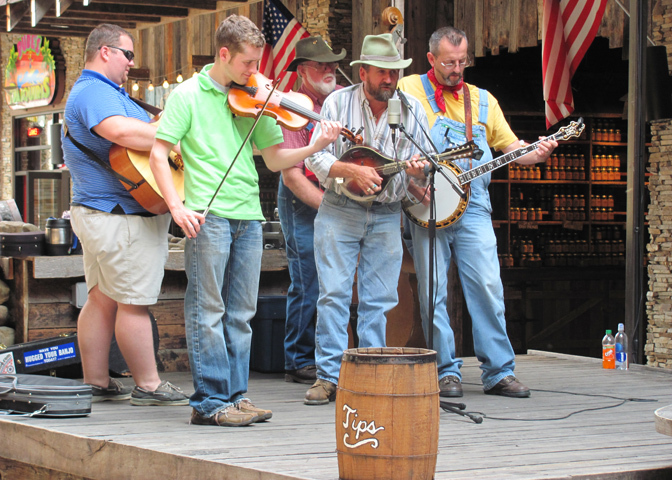 We also enjoyed some mountain music as we strolled the streets and alleys of Gatlinburg, TN. Saturday, June 30, Bonnie and I traveled back to Cleveland, TN where I was to speak the next day for the evening service of the Central Church of Christ. First, though, we stopped at Tanger Outlets to buy me some dress shirts. Many of my shirts are decades old and in dire need of replacement. The temperature was 107 degrees! We walked, and we walked. Then, we walked some more. Finally, we found some shirts that were nearly like what I wanted and at a price I could afford. Along the way, Bonnie bought a couple pair of footwear, too. About 5:00 p.m., we arrived at the home of Robert and Barbara Wright. They are brethren, friends and our benefactors. They lodged us and fed us to the point of bursting over the next two days. They have worked hard over the years, and they freely utilize their resources for the cause of Christ; they do a good work for the Lord. Sunday evening, I presented Into All the World in 2011. We had some technical difficulties since my software with which I made the PowerPoint presentation is newer than what the church is using. With some trial and error behind us, we were able to present the material for the congregation. We were well received. Bonnie and I had a few moments to meet with two of the elders regarding our work in which they invest for the church there. Monday was consumed in our return trip to Winona, MS. A flurry of phone calls between Wednesday and Monday populated our upcoming calendar for Sundays and Wednesdays. We have some long stateside trips ahead of us in July and August. Bonnie labored on the next issue of The Voice of Truth International as I steered the car homeward. After spending all day in the office Tuesday trying to catch up on things we could not do while traveling, we left Winona, MS again in the early evening. We met Rebecca at the Collierville Church of Christ property for refreshments and to watch the Collierville city fireworks. Wednesday is the 4th of July holiday. Thursday is Rebecca’s birthday, and later that afternoon, we will pick up Betty Choate at the airport and return to Winona. 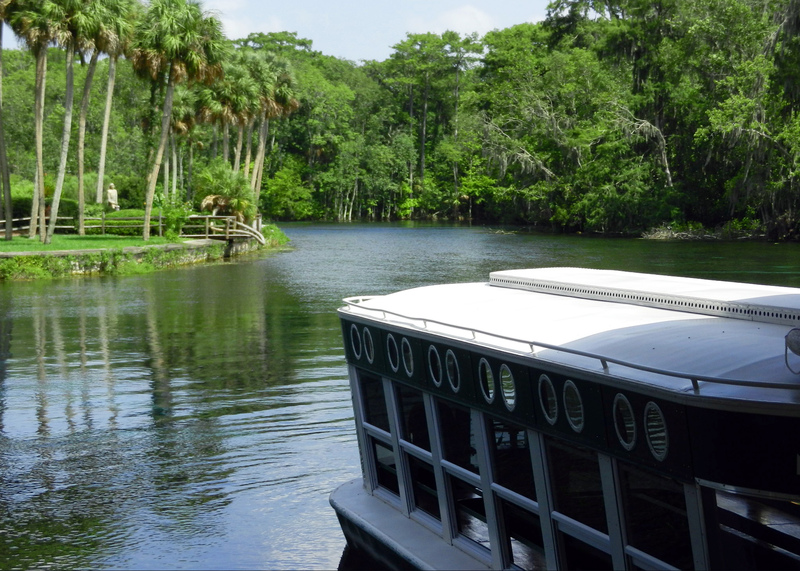 Saturday, we will point the car toward the panhandle of Florida for our Sunday appointment. Appointments already scheduled for July and August will take us to the states of Florida, Georgia, Tennessee, Alabama and Kentucky. Truly, we are on the road again! Comments: Comments Off on On the Road Again!